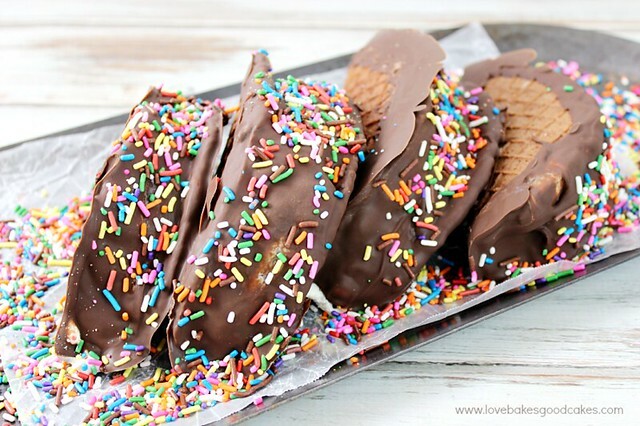 It’s fun to make these Choco-Tacos at home! These homemade novelty treats are easy and they’re perfect for summer! Smart & Final makes it easy and convenient to gather all of your grocery needs! First, let me wish all of the moms a Happy Mother’s Day! I don’t know about y’all, but I am happy with dinner that I don’t have to cook, homemade cards (or store bought) and a special treat made by my kiddos! This year, my kiddos wanted to make me something special for Mother’s Day and they had an awesome idea to make me these Choco-Tacos. If you know anything about me, tacos rank up in the top 5 best foods on the planet. 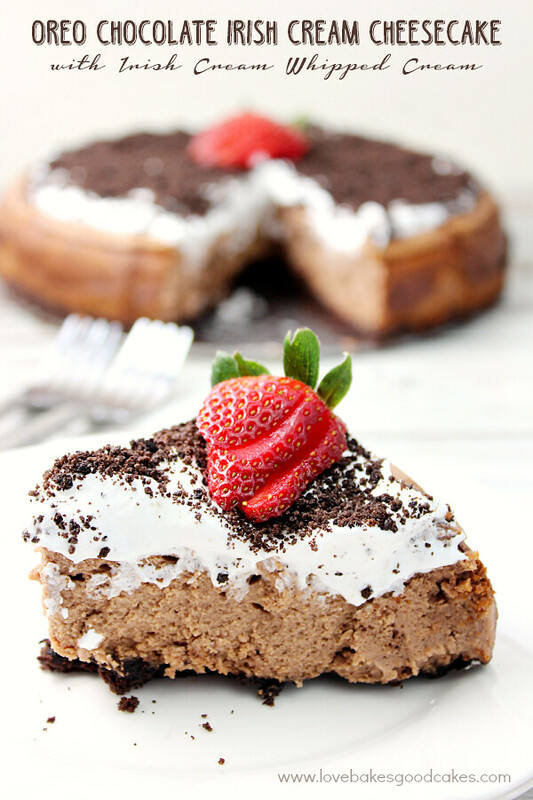 A dessert version with chocolate?! I know they love me!! 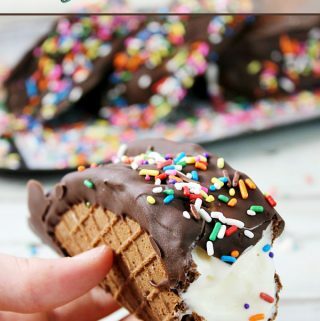 I loved the idea of making these Choco-Tacos! The best part was, these Choco-tacos are easy enough for my teenagers to make by themselves with my supervision and the two younger kiddos were able to help with the chocolate and sprinkles! Although it may look complicated, let me assure you that they’re not! If you don’t have a sugar cone waffle maker , you can make these on a griddle or in a skillet like pancakes – you will need to flip them once after about 30-45 seconds and let them cook an additional 30-45 seconds. If you don’t have a taco mold, you can easily drape wax paper over books set up like tents and drape your waffle cones over the books to help shape them. We stopped at Smart & Final to get some supplies for a barbecue this weekend and while we were there, we had the kids pick a flavor of ice cream for their Choco-Tacos. Vanilla is one flavor everyone in our family likes, so they picked up some First Street Vanilla Ice Cream. Feel free to use your family’s favorite First Street Ice Cream. Smart & Final had everything we need to make this Choco-Taco recipe! After finishing up our shopping trip, we headed home. The kids couldn’t wait to get started on making the Choco-Tacos! Smart & Final is a great place to do a one stop shop of everything from produce to meats. Smart & Final carries warehouse size items without a club fee, making shopping easy, less expensive and less daunting to shop in than a big warehouse store. 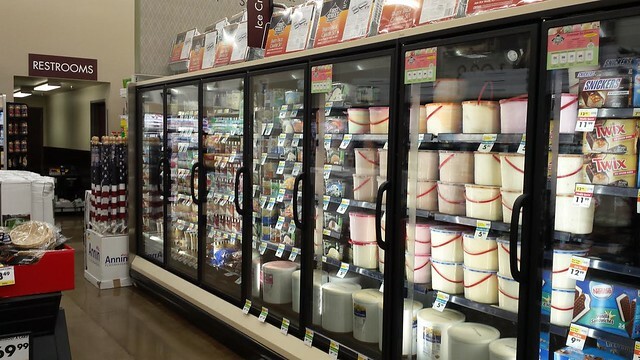 Smart & Final is a perfect place to shop for all your food needs, bakery items, etc. Be sure to check Smart & Final’s FB page for the Cowdown Promotion beginning May 13th! A new Cowdown post will be posted daily. By the way, below is the Waffle Cone Maker I have at home and I love it!! If you’re in the market for one, I can’t recommend this one enough! I”ve also included a link for the product I used to form my tacos! 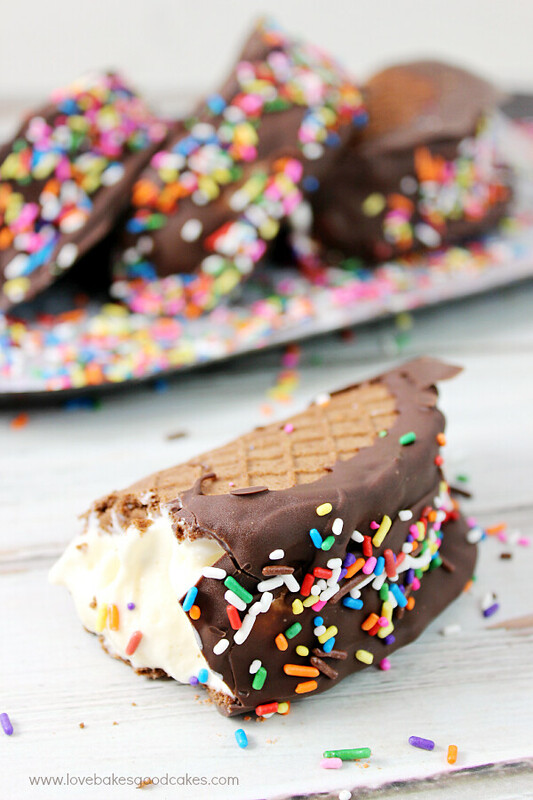 It's fun to make these Choco-Tacos at home! These homemade novelty treats are easy and they're perfect for summer! Preheat a sugar cone waffle iron over medium setting. In a small saucepan or skillet, melt butter over medium heat. Add the chopped chocolate and stir until the chocolate is melted and the mixture is smooth. In a medium bowl, whisk the eggs, vanilla and salt. Add the melted chocolate mixture and whisk until smooth. Set aside. 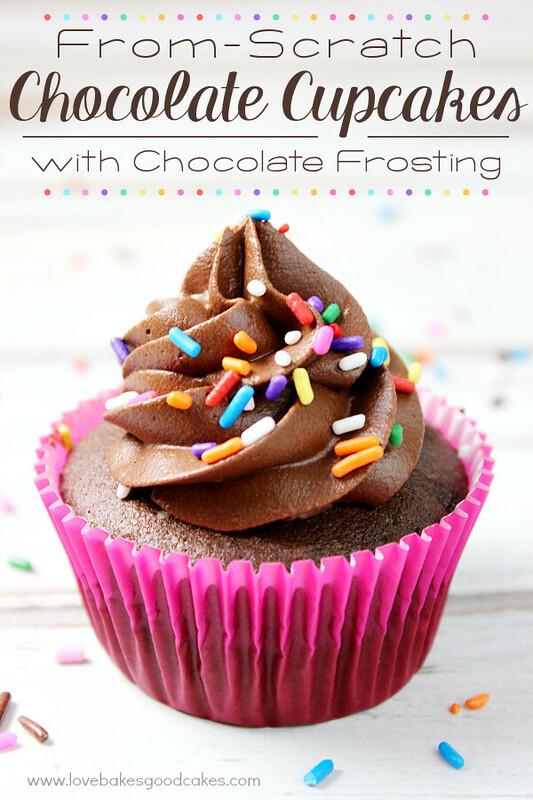 In a separate medium bowl, combine the sugar, flour and cocoa powder. Fold the flour mixture into the egg mixture just until blended. Do not over-mix. Spoon about 2 tablespoons of the batter onto the center of the preheated sugar cone waffle iron. Close lid and cook for 1-2 minutes, depending on desired crispness. Remove the sugar cone waffle and drape over a taco mold. Allow to cool completely. 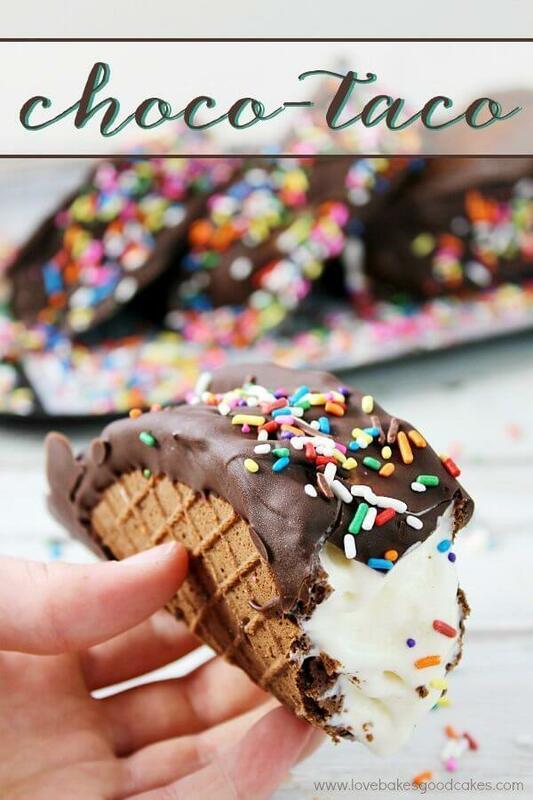 Once the chocolate tacos are cooled, fill with ice cream and place in freezer to firm up. Dip tacos or drizzle chocolate candy melts over the top of the tacos. Immediately top with sprinkles or nuts, if desired. Place in freezer to set chocolate. For more recipes, special offers, and the latest news, be sure to follow Smart & Final on Facebook or Twitter. 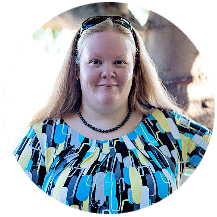 I shared how my family loves to use First Street Ice Cream. 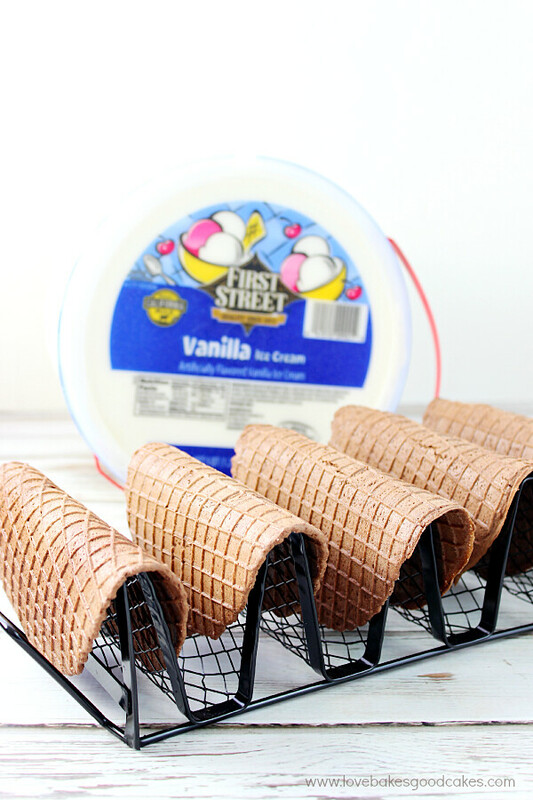 What is your favorite way to use First Street Ice Cream? 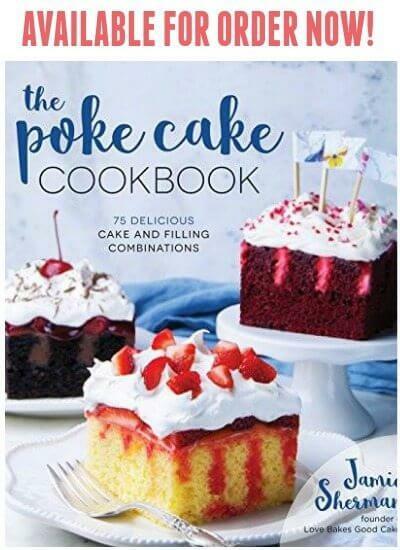 « More than 50 Nutella Recipes! 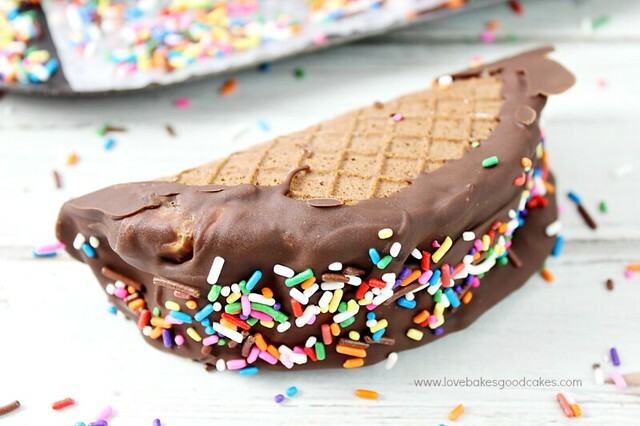 I loved choco tacos growing up! This took me back! yum! Had to pop over and see how these babies were made! These need to be on my summer menu! Pinning!! These look so delicious! I need to try these out! These are definitely my kind of taco! Heck yeah – complete with rainbow sprinkles!YUM. Oh man, I could use one of these right now! They look amazing! 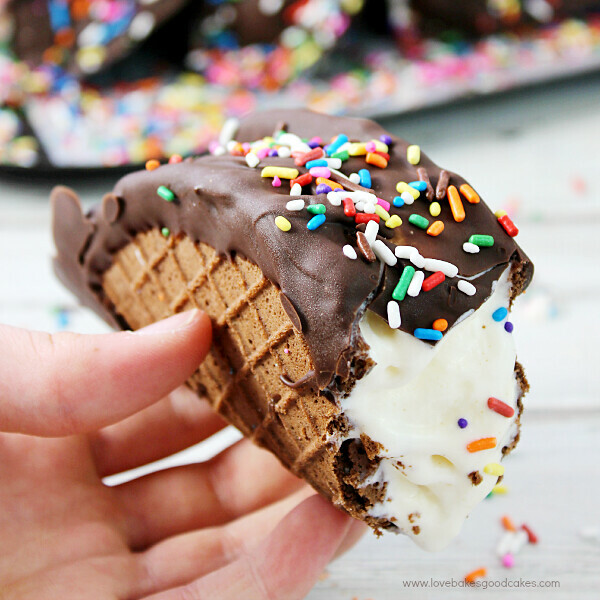 I can't tell you how much I love ice cream and sugar cones, so making a taco is genius! 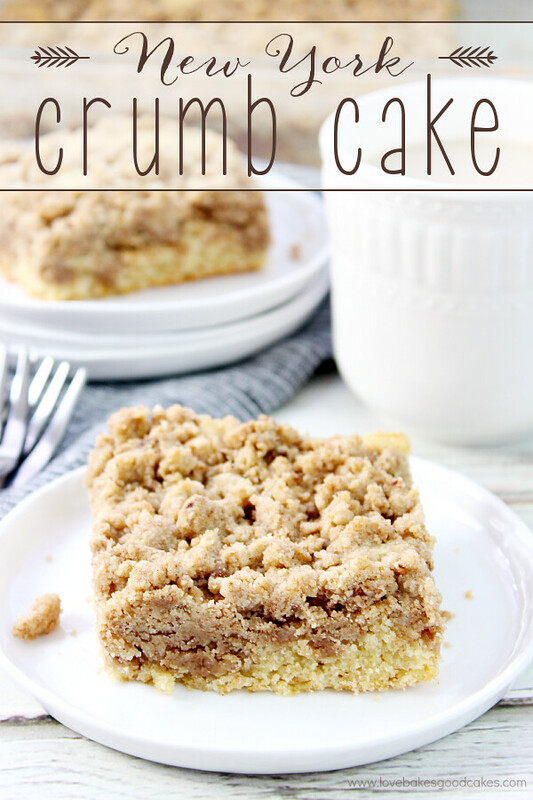 A childhood favorite but in a homemade version! Love it! Wait, I should've stopped by your house yesterday, a CHOCOLATE TACO?!?!?!? Those look totally amazeballs & my kiddos would love to make them. Hmmmm, Father's Day is coming….. These look amazing! Oh wow! What a great taco! I know my daughter would love them! Hope you had a great Mother's day! Sharing on FB! Wow, my kids would go nuts for these. They love choco-tacos. These looks absolutely delicious Jamie, but my heart would have to go for the New York cheesecake! I so need 2 or 3 of these right now ! Would you believe I am the only ice-cream fan in the house ? OMG! These look so amazing! My babies would love them! These are SO fun — my kids would love them! I love this idea! My kids would go crazy for them! I do not have that much of a sweet tooth but at certain days, the craving does arise out of the blue. During such instances, I would start rummaging through my storage pantry for the right ingredients to whip up something sweet. look great but what if you don't have the waffle maker? If you don't have a sugar cone waffle maker, you can make these on a griddle or in a skillet like pancakes – you will need to flip them once after about 30-45 seconds and let them cook an additional 30-45 seconds. My daughter would love these! Might be fun to make for her July 4th Birthday! Could you possibly use a pizelle maker? I do have one of those.